This piece requires little introduction. Beethovens most famous overture was arranged and published for band by Carl Fischer years ago. 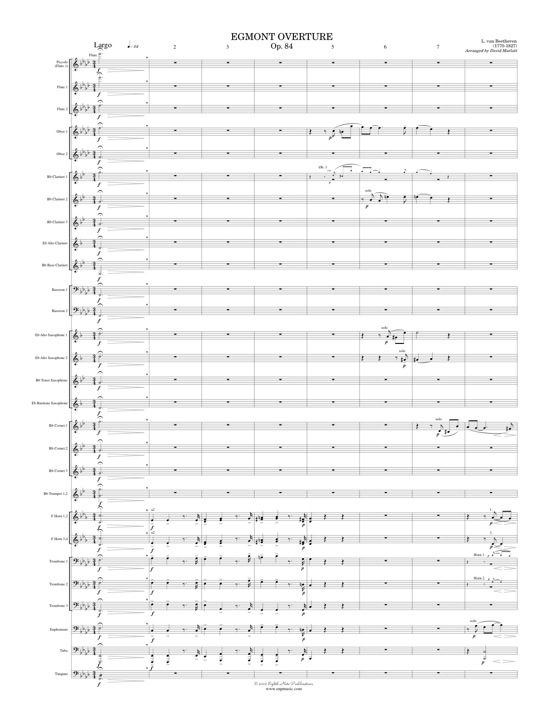 This new arrangement features new scoring and an oversized complete score. The horns and cornets are given more significant parts then the previous arrangement and the alto saxophones are also given some solo lines. This is a tour de force that would impress an adjudicator and dazzle audiences.